The Norwegian Veterinary Institute, or Veterinærinstituttet, announced a case of the prion disease, Chronic Wasting Disease (CWD), in a young, pregnant moose from Selbu in Sør-Trøndelag near the Sweden border, according to a recent release (computer translated). This case follows a CWD case in a reindeer reported in Norway in April this year. The moose had shown abnormal behavior and was emaciated. 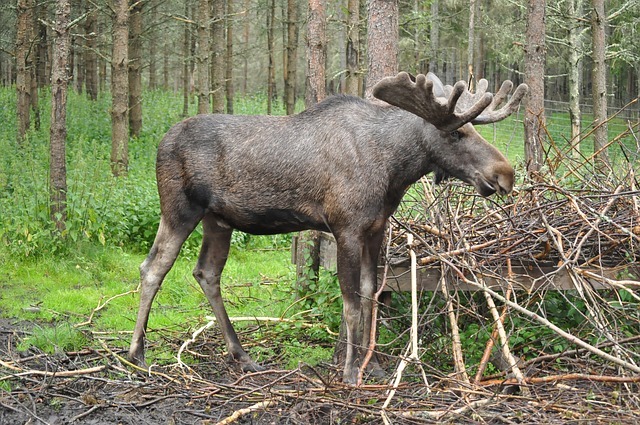 This is the second case of CWD demonstrated in Europe and the first in moose. According to the Centers for Disease Control and Prevention (CDC), CWD is a prion disease that affects North American cervids (deer, elk and moose) where it attacks the brain producing small lesions that eventually result in death. Animals can get the disease through direct contact with saliva, feces and urine from an infected animal. CWD can be highly transmissible within deer and elk populations. The mode of transmission is not fully understood, but evidence supports the possibility that the disease is spread through direct animal-to-animal contact or as a result of indirect exposure to prions in the environment (e.g., in contaminated feed and water sources). To date, no strong evidence of CWD transmission to humans has been reported.